Heron Bay Golf and Country Club is a master planned community which features a number of spectacular neighborhoods with unique styles and builders. All the homes in the community are wonderful, but the homes in The Links and Lakeview are worth a second glance. These two neighborhoods contain custom made estate homes on pieces of land ranging from 1/2 to 1 and 1/2 acres of land. Many of the homes have exquisite views of the golf course and Henry County’s Cole Reservoir. 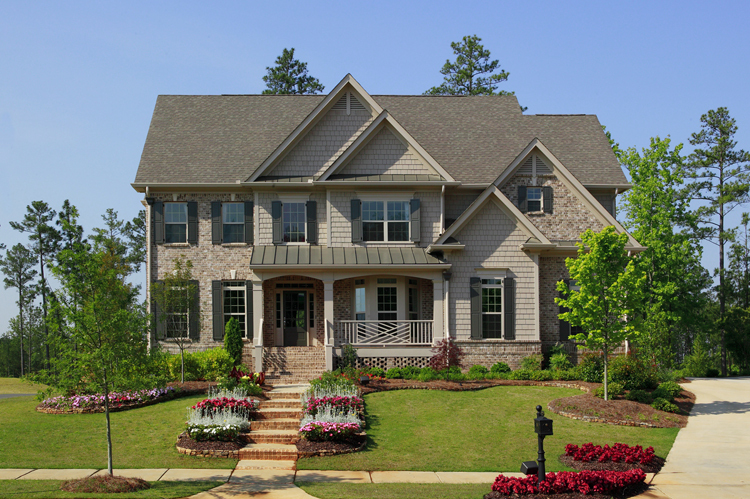 Not only are these luxury Atlanta lake community homes custom made to fit your every desire, they are built by five of the area’s top custom builders who each offer a diverse selection of architectural styles and designs from traditional to European to Mediterranean. Earl Thomas, owner of RMT Construction, has more than 30 years of experience designing and building homes. He specializes in building unique luxury homes using exquisite designs which are built to the highest standard of quality and craftsmanship. Lisa Brutvan, Marketing Director for Heron Bay Golf and Country Club, says the home sites in Lakeview and The Links “have some of the best, most sought after views in the entire community.” She also raves about the beauty of the custom home designs. Custom homes in Heron Bay range in price from the high $300,000 to $1 million plus. In addition to designing your very own dream home in the Atlanta golf community, homeowners enjoy fabulous amenities at Heron Bay Golf and Country Club such as an 18-hole, par 72 Canongate golf course that has a club and grille, a 5,000 square foot lodge with fitness center, a three-pool aquatic center, tennis center, a multi-purpose playfield and miles of nature trails.